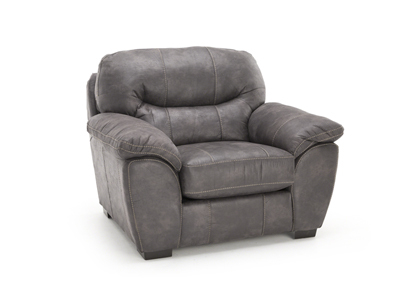 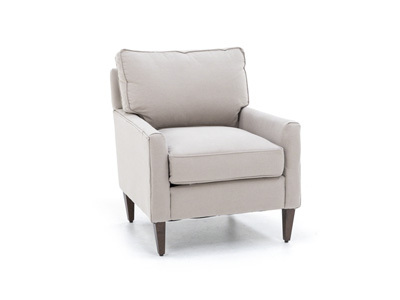 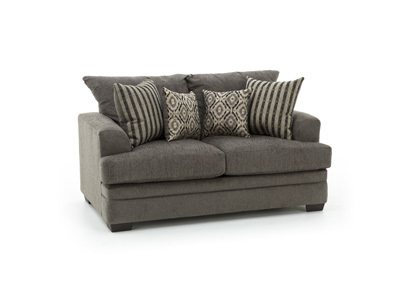 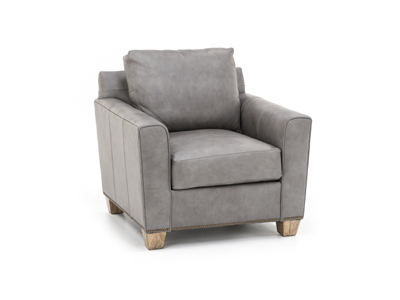 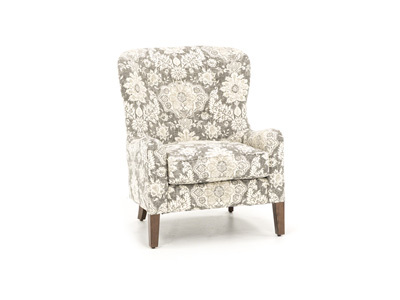 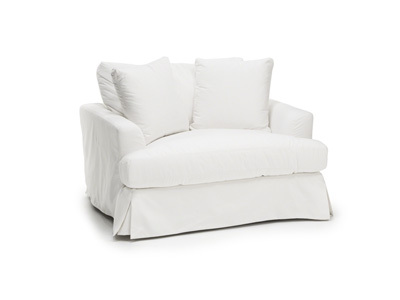 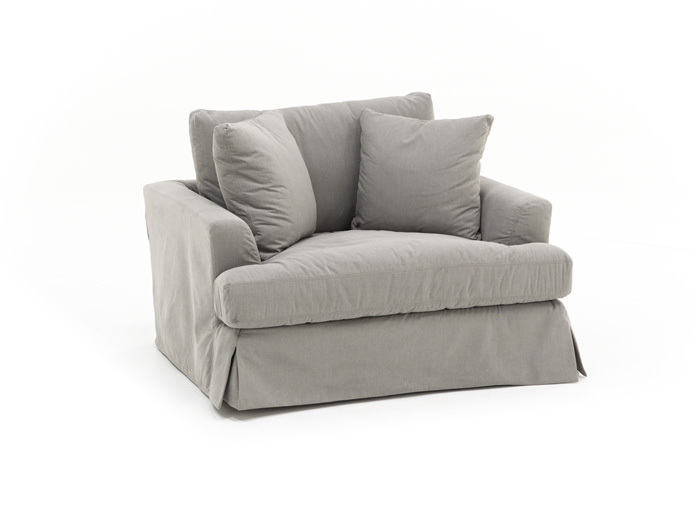 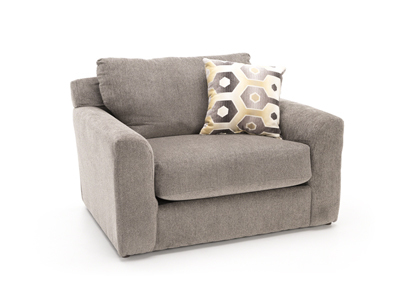 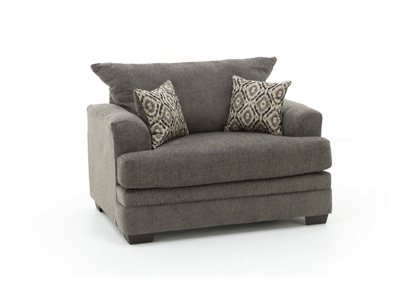 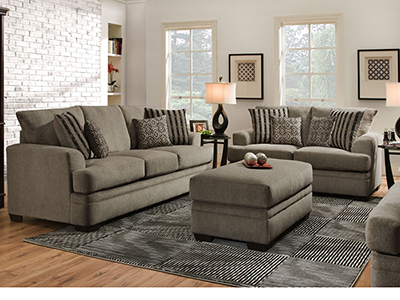 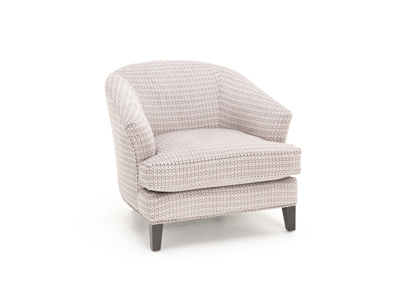 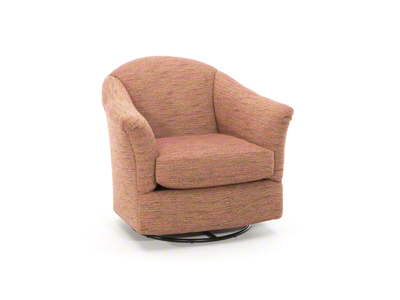 The Peyton slip-covered Chair 1/2 is the ultimate in casual comfort. 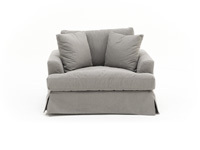 It is eight-way hand-tied, with feather blend seat and back cushions and toss pillows. 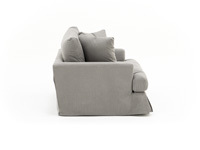 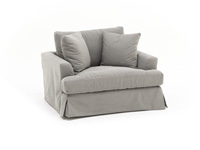 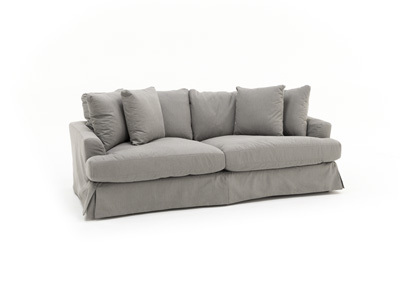 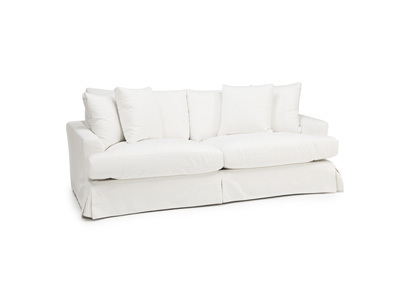 Steinhafels offers the sofa, chair and a half and ottoman in Pearl (white) and Slate (grey). 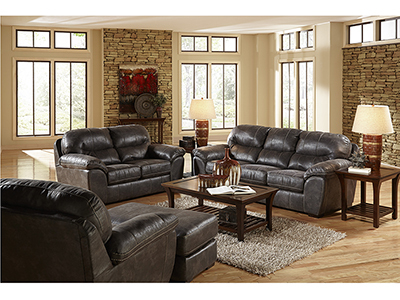 It can work perfectly with almost any decor. 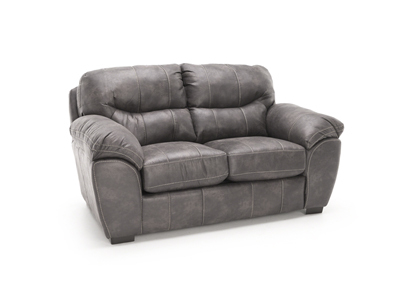 The real story is that it is one of the most comfortable groups you will ever sit, lounge or sleep in. 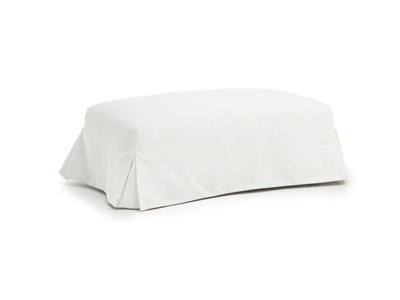 The fabric has a water resistant treatment to it so if a liquid is spilled on it, you can throw a towel on it to absorb the liquid. 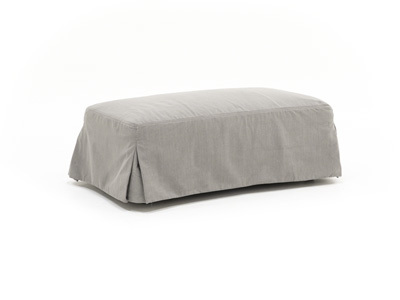 It is easy to spot clean and the covers can be completely removed for dry cleaning.